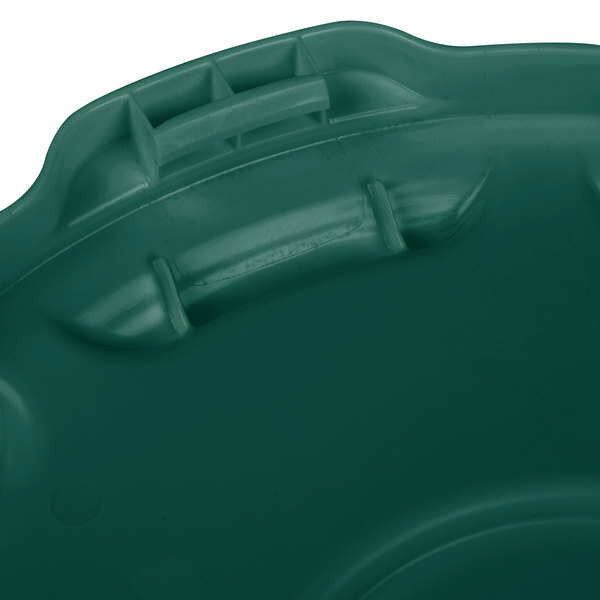 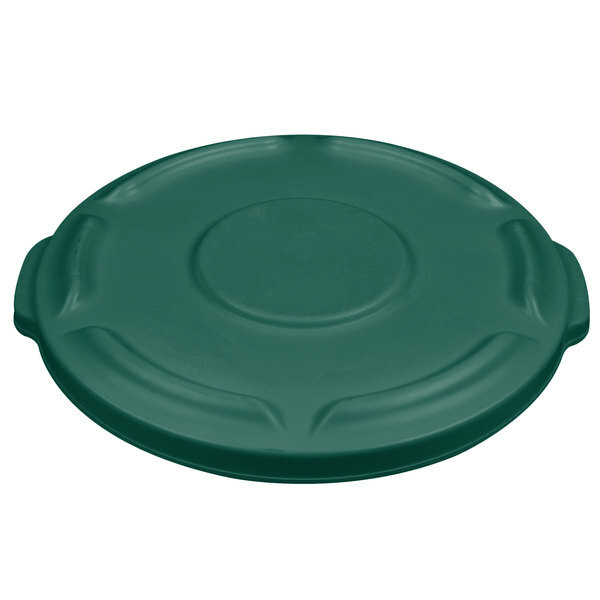 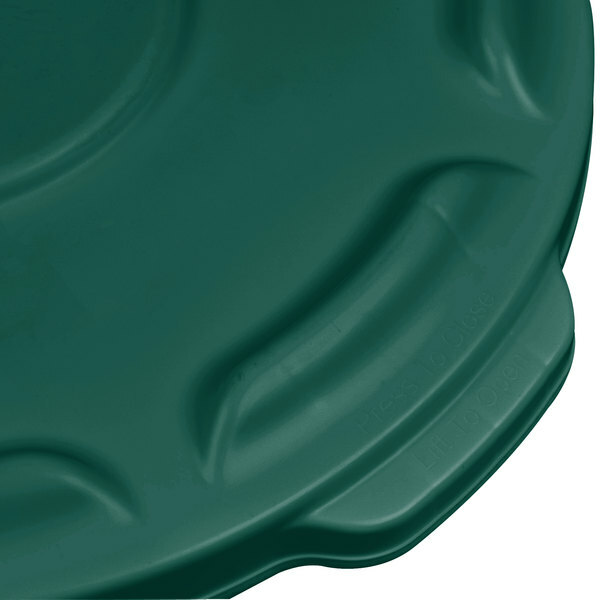 The green Rubbermaid FG260900DGRN BRUTE 10 gallon trash container lid is strong and snaps on for secure, stable stacking. 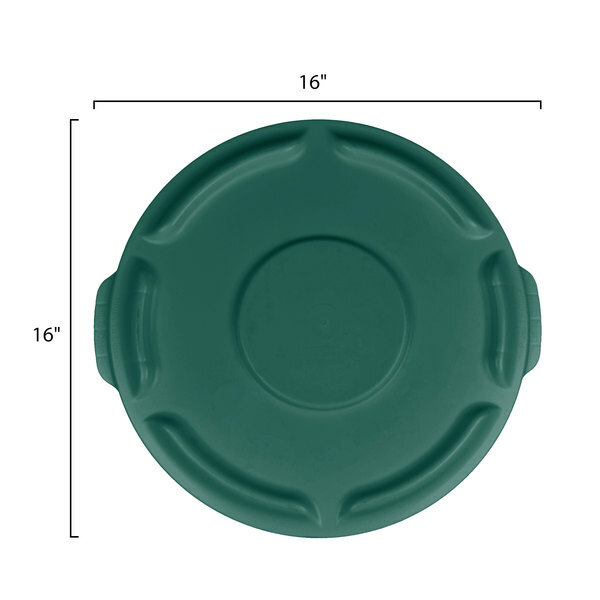 The heavy-duty, durable trash container lid features an all plastic, professional-grade construction, this can resists dents, and will not rust, chip or peel with continuous use. 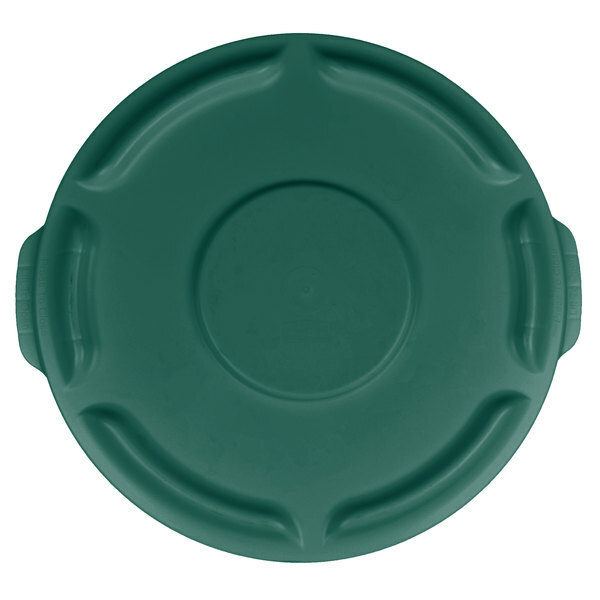 Built-in handles on this lid allow for non-slip lifting and anti-jam nesting. 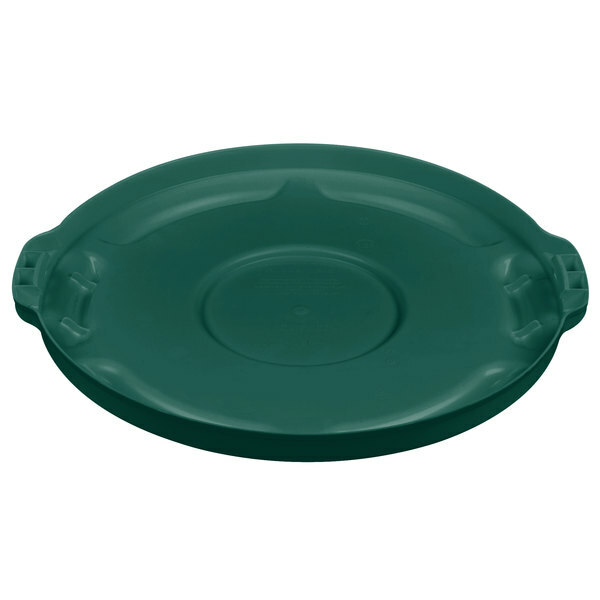 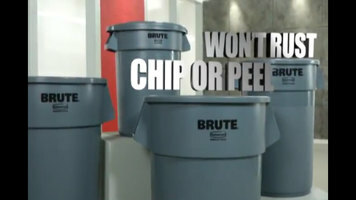 Additionally, each lid is food safe meaning it can be used in both storage or prep applications. 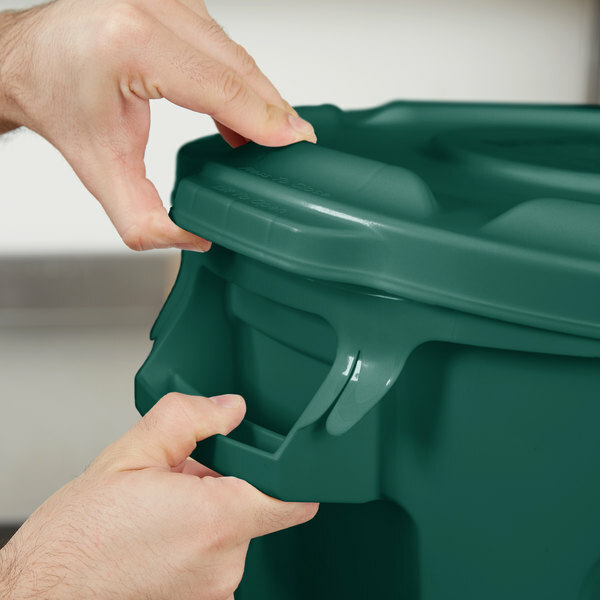 Regardless of whether you need a recycling can, trash can, or large bulk storage container, this Rubbermaid can lid is sure to keep its contents covered! 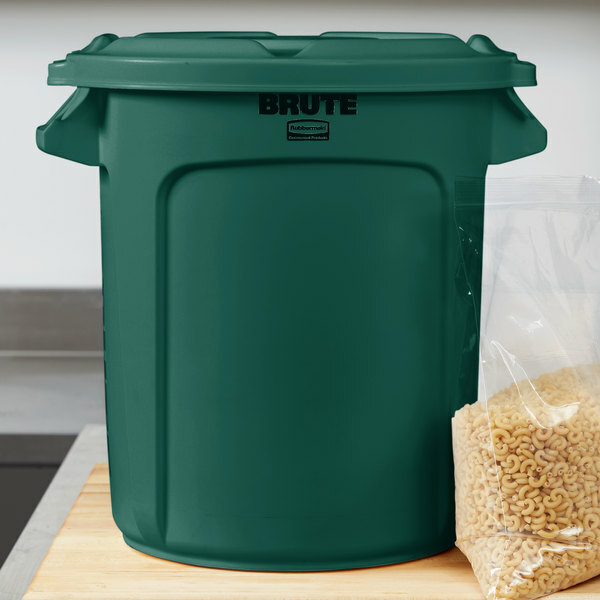 This small trash can lid fits perfectly on the rubbermaid brute 10 gallon trash can. 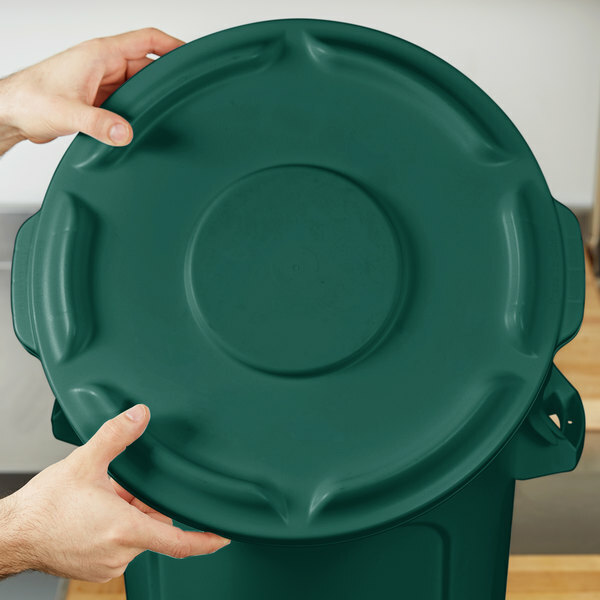 It fits tightly to cover the food inside until it's time to take it to the compost bin.